The Monday After: Fashion show Debut sneak peak! Walking into the week like….”We totally did it last Friday at the Mod Club”. The support of family and friends were priceless! All I can say is….thank you…thank you…thank you!! 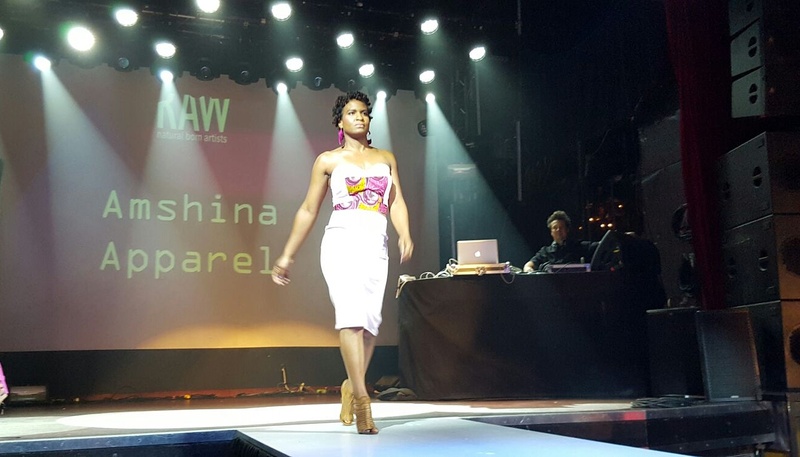 I will have official pictures in another week or so but I have a few here and there from my pals that were in the audience!😊 There you have it…my first fashion runway showcase on the amazing @Rawartisttoronto platform! Here in this photo is one of my models( cousin) doing her stuff in one of my full looks on the runway last Friday evening at the Mod Club in Toronto. Stay tuned. Better update coming your way, it’s been crazy these past weeks but I did it!😊 With much help and support near and far! Previous post2 years in business and the countdown to my showcase: Where am I? Congratulations, Uta! For some reason this wasn’t on my radar otherwise I would have loved to be there! Can’t wait to see more pics. Thanks Lori!! 🙂 I am sure I will have another one! 🙂 I can’t wait for the pics too 🙂 Will share!